Sonlight is Having Their End of Season Sale! We are a Sonlight family through and through. This August will be our second year using the program. Julia is finishing up Sonlight 100 and will start Sonlight 300 in August after our short break in July. Max and Caroline, my first graders, are finishing up Level B. And will get started on Level C in August. Here’s a snippet from a review I did for The Old Schoolhouse (when we discovered Sonlight) . . .
“Up until two months ago, I believed homeschool curriculum to be something like a revolving door- especially when there are multiple children involved. We’ve been homeschooling for seven years now, most of the time taking the Charlotte Mason approach to learning. I have spent the better part of those seven years on the hunt for “something better”. 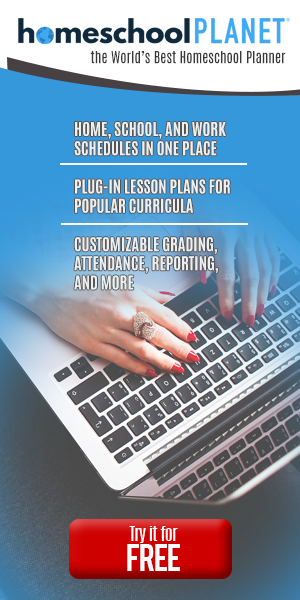 I’d peruse catalogs, read reviews, and keep a close watch on several used curriculum groups. Why the change two months ago? I finally found what I have been searching for all these years. I found Sonlight. Friends, if you are a Charlotte Mason-style homeschool, or have even considered it, I encourage you to check out these special offers from Sonlight. It will forever change the way you homeschool, too. This exclusive payment plan is only available in March. No fees, no interest. You use Sonlight over the course of a year and spread your payments over 12 months. Limit: One Payment Plan at a time per customer. This past year has included the easiest homeschooling days we’ve ever had. With six kids, I’m in a season of life when having things planned out for me is a must. Simplify, simplify, simplify has been my mantra the past couple of years. The last area that really needed help was our homeschool, and Sonlight is the complete answer to that. Like I said in the beginning, we are now and until the end of our homeschooling days, a Sonlight family.